Faith has been the subject and quest of billions of people over thousands of years. It has been pursued under the umbrella of many different religions and theologies. It has been gained and lost by some, gained and preserved by others. And some feel they have never found it at all. Faith was addressed repeatedly by Jesus in various contexts. He often encouraged faith by speaking of His Father and His attributes, of the scriptures and the prophets and of the importance of His Church, it’s foundation of apostles, and the essentialness of the ordinances to be administered under the direction of His Church. The initial question, when dealing with the subject of faith, is probably faith in whom or faith that what. Joseph Smith taught that to have strong faith, it requires an accurate understanding of the divine attributes of God, that He is our Father and we are His children, that he loves us and is merciful, that He is forgiving and also just, and many other wonderful attributes. Jesus also taught these attributes by exemplifying them Himself. Notwithstanding, we sometimes have improper expectations of God and Christ. We might expect God to answer our prayers, even when we ask the wrong questions or ask for the wrong things. We might expect God to answer us in a certain way and not recognize His actual answers in another way. We might expect Him to solve our problems or prevent the wrongs in the world. And further, we might expect that God would only inspire or confirm truth for those baptized in His Church. All of these would be improper expectations and could prevent or undermine our faith in God and His gospel as the recipe for lasting and deep happiness. Jesus also frequently spoke of the prophets and their writings. He knew them well and used them as a defense against the temptations of Satan. He quoted them to His apostles and disciples. But he never suggested that we use them as our role models. If they were to be our role models, why was Peter selected as an apostle even though he would deny Christ three times? Why was Peter selected even though he had negative feelings about gentiles that would require a strong vision to change? Why did Paul the apostle have disagreements with Peter about various matters? Why did Paul and his missionary companion have serious enough disagreements that they had to separate? 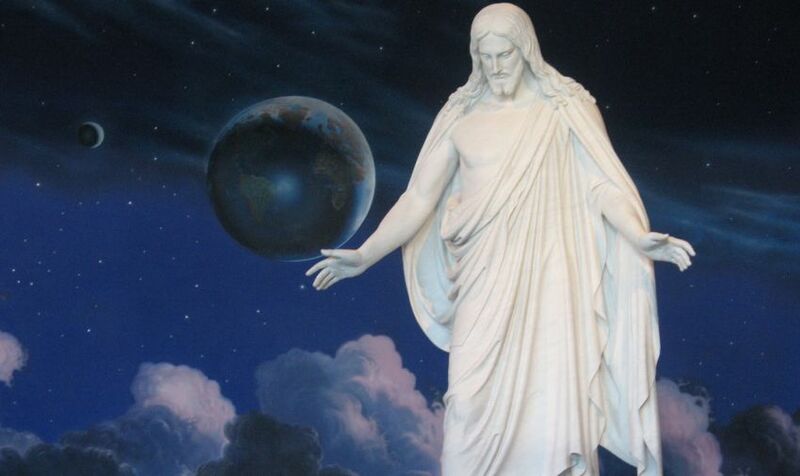 Clearly, Christ and the Father are to be our role models, and the Prophets and apostles are to point us to them. Notwithstanding, we sometimes have improper expectations of the scriptures and the prophets. We might expect prophets to know all of the truth or have answers to all the questions, whether or not the subjects might help us draw closer to God. We might expect prophets to be historians, which they are not. Instead, they have come from all walks of life. We might expect them to not be affected by their times and culture, which would be unrealistic. We might expect them to speak out against all the wrongs of their day, notwithstanding the extreme intervention it would require from God to protect them and His people. These improper expectations of prophets and the scriptures can also prevent or undermine our faith in Deity and their gospel as the recipe for lasting and deep happiness. Jesus chose the apostles, ordained and taught them and sent them out to teach and bless the people. The Church was organized partially and more fully under His post mortal direction. The apostle Paul taught of the various callings, starting with Christ as the chief corner stone and the apostles as the foundation. The ordinances of baptism and confirmation, baptisms for the deceased, and the administration of the sacrament were regularly performed. It was clear that Christ’s Church was to be a community of believers, would be believers and inquirers. It was to be the means of teaching and blessing the people, of bringing them closer to God. Notwithstanding, we sometimes have improper expectations of Christ’s Church. We think to require that the messages from the pulpit, the classes and the prayers always inspire and feed us. We forget that to worship is to give a contrite spirit and a broken heart and witness of this to God through the sacrament. We forget that worship is more to give than to receive, to share and nurture others instead of requiring it from others. And the Church of Christ provides these opportunities. It places people of different circumstances in close proximity in which we learn to love, to build bridges across our differences. The Church provides the ordinances and the associated covenants to help us become pure and develop these capacities. However, if we fall into the “give to me” or “feed me” wrong expectations of the Church, this can prevent or undermine our faith in Deity and their gospel as the recipe for lasting and deep happiness. We will receive from the Church, but mostly as we give to God and serve others. 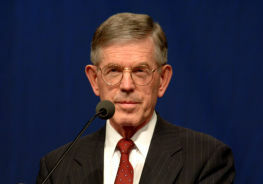 Modern day theologian, Terryl Givens, summarizes these concepts by saying that he believes the chief impediments to the development and maintenance of faith are improper expectations of God, of the prophets, and of Christ’s Church. He also teaches that when these improper expectations are corrected, great truths are learned. 2. Contrary to common Christian beliefs of his time, Joseph Smith taught that man lived with God in the pre-earth life, and that man, although in a less progressed state, has been eternal. We cannot blame God for creating us a certain way. Instead God takes us and helps us progress from an Intelligence to a Spirit, to a Mortal Body, and finally to a Resurrected Being, glorious or not so glorious, depending on our personal choices. 3. Joseph Smith taught that, contrary to the universal belief that mankind was responsible for Adam’s fall and transgression, we are accountable and responsible only for our own transgressions or sins. He taught that those who die without the law are innocent and, contrary to all Christendom of his day, such innocent children and adults receive an opportunity for full salvation. And this was through vicarious salvation, such as baptism for the dead (children not requiring such for they were totally clean already) as referred to in 1 Corinthians 15:29. Joseph Smith taught of a God who had devised the capacity and had the desire to save the entire human family. He taught that there is a way that all of God’s children can be born of the water and of the Spirit, as Jesus declared was required for a man to enter into the kingdom of God (John 3:5). And this was one of the key purposes of God’s temples, to provide vicarious ordinances that the deceased, from the Spirit world, could choose to accept or reject. 4. Heaven will consist of the most sublime human relationships. Marriage and family can be eternal through temple sealings. But this requires real and deep faith in God the Father and in His Son Jesus Christ. It requires faith in the gospel of salvation through Christ’s atonement and it requires a willingness to listen to the Holy Ghost. It requires humility to pray, to try to pray for the right things so God can answer us without misleading or unduly crutching us. It requires a willingness to make only Christ one’s role model. At the same time, it requires a willingness to follow the counsel of the prophets, to cease trying to find fault with them, but instead to chasten oneself as did Daniel of old before he received revelations from God. It requires that the disciple of Christ live without having all of one’s questions answered and being patient in Christ until answers come in this life or the next, trusting that all the truth will fit together. And it requires that we give of ourselves to God and each other in great kindness and love, that we build the condition of oneness through Christ’s Church. Indeed, a proper understanding of the nature of God and the eternal nature of man, the proper role of prophets and Christ’s Church is critical to our development and preservation of our faith. We must accept God’s commitment to free agency, that allows us to harm each other, to serve each other and to eventually build Zion (a people pure of heart that are filled with love to be one of heart). We must accept accountability for our own thoughts, feelings and actions. We must chasten ourselves and grow with Christ’s help. We must not try to chasten the prophets. 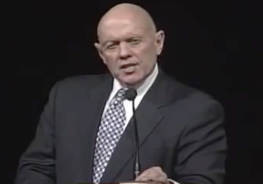 Along the way, through Christ’s Church, the prophets will teach us about the nature of God, how we can become more like Him, and provide us the ordinances and the temples so that we can receive our Father in Heaven’s choicest blessings, the endurance of our most sublime human relationships for eternity.